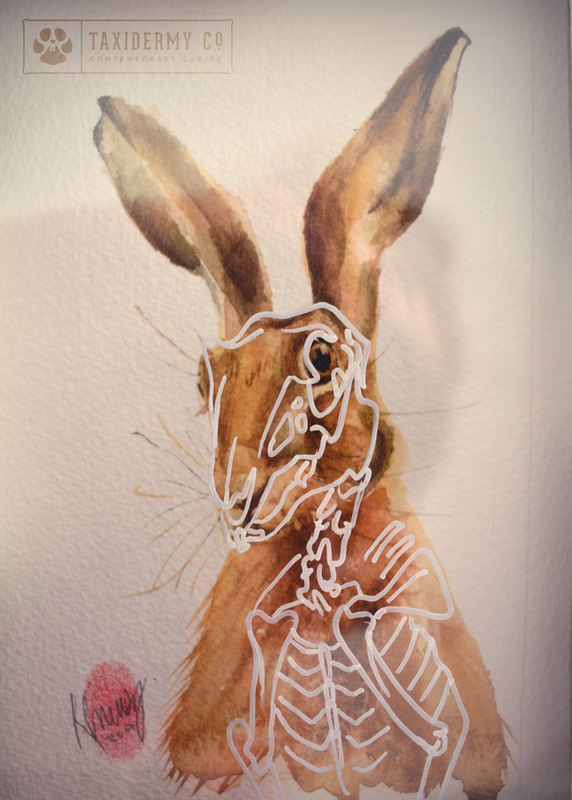 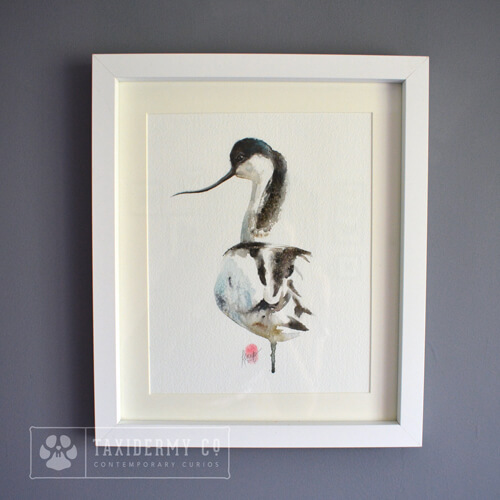 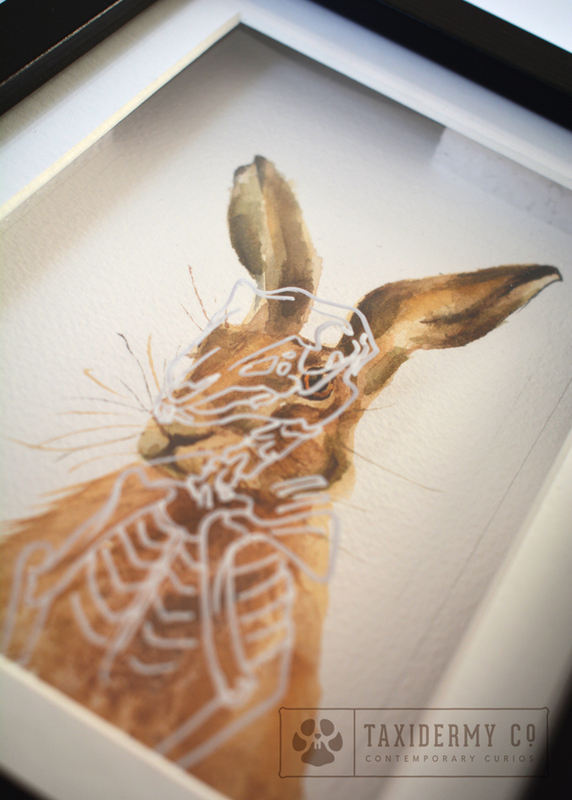 100% original,one of a kind hand painted wildlife artwork by Krysten Newby, featuring the skeletal anatomy of a handsome Hare (Lepus europaeus) in a deep box frame including concept sketch. 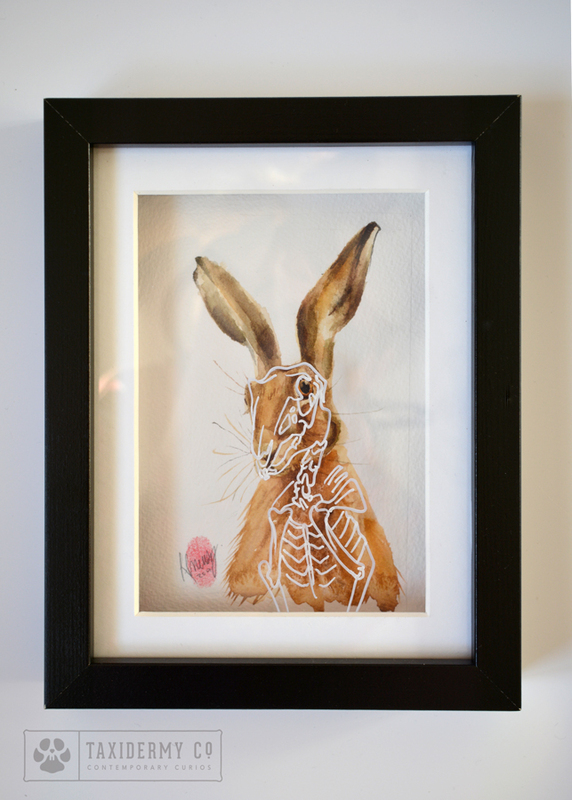 100% original,one of a kind hand painted wildlife artwork by Krysten Newby, featuring the skeletal anatomy of a handsome Hare (Lepus europaeus) in a deep box frame. 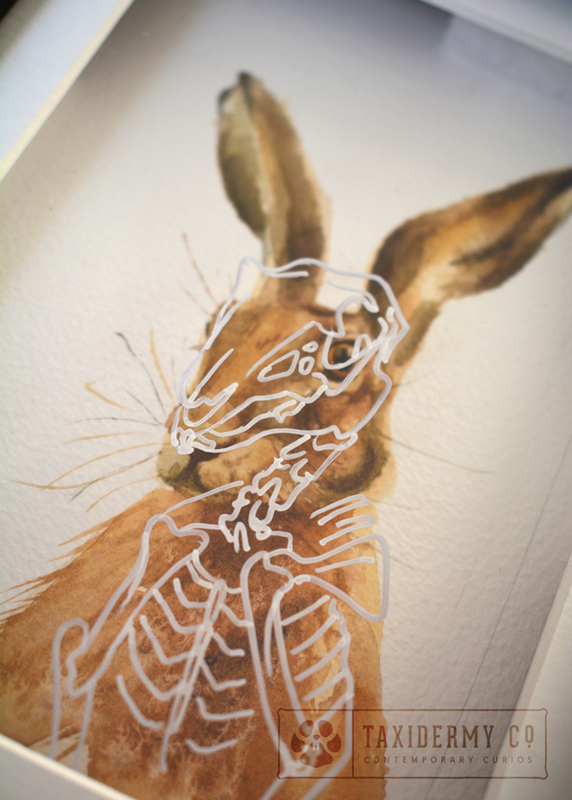 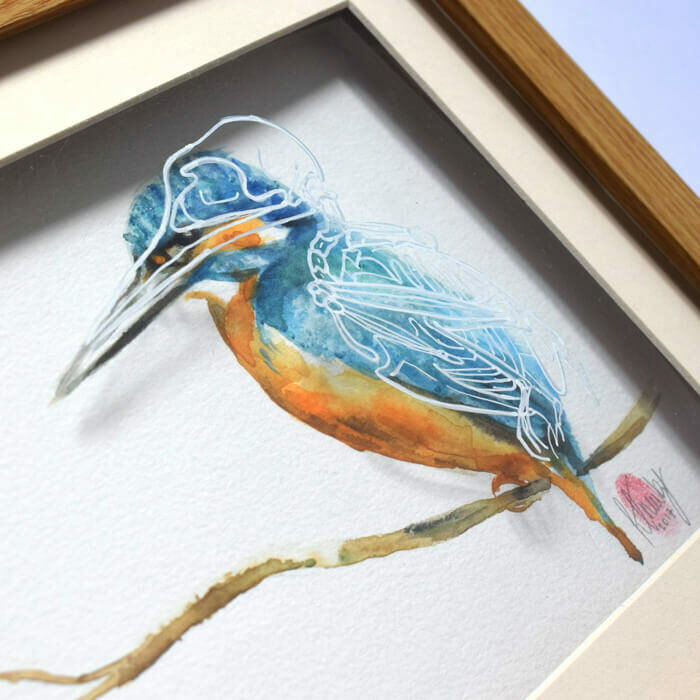 You’ll see that this is almost an interactive piece of artwork that moves with you as you walk around the room; at the right angle, the skeleton layer aligns perfectly with the watercolour painting behind! 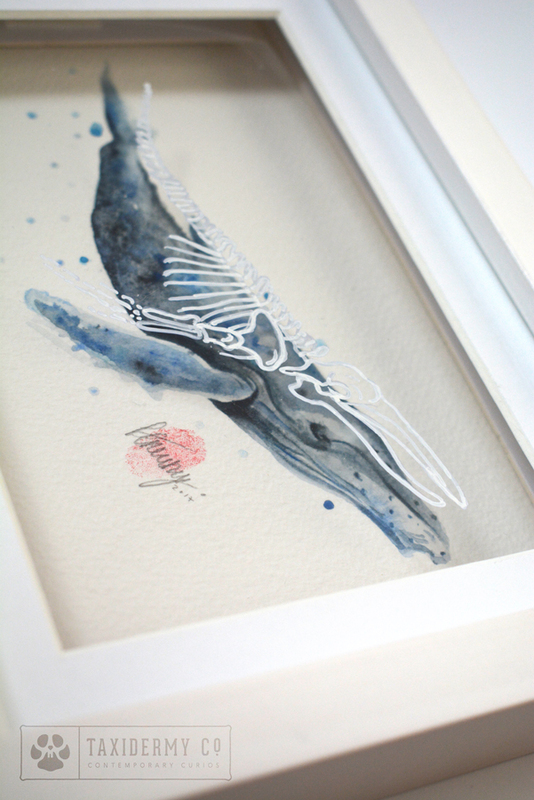 Mesmerising. 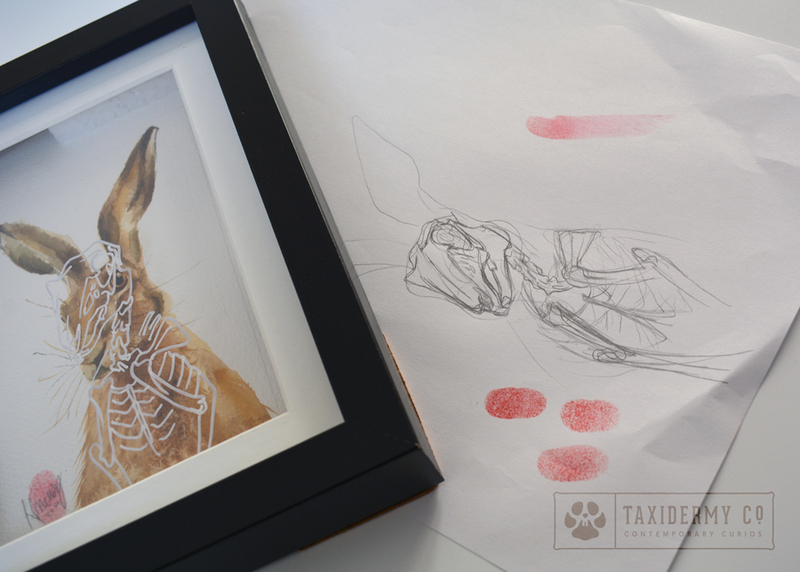 Original concept sketch also included.